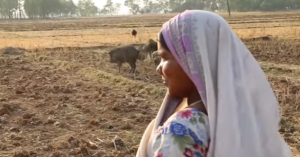 For rural and extremely poor women in the Patna district of Bihar State, East India, life has changed since the introduction of self-help microfinance groups. These microfinance groups are led by the Patna-based Centre for Promoting Sustainable Livelihoods (CPSL), who are partnered by UK Aid Direct grant holder, Rojiroti UK. The model (also known as the Rojiroti model) is for groups of 10-12 women to come together on a regular basis to form a self-help group (SHG). Peer facilitators lead the weekly sessions to inspire the women to think about their money and encourage them to save income. By attending the SHGs, women can apply to receive (often at first) very small loans, and the repayment terms for these loans are agreed by the group members, to suit the individual’s circumstances. The system is unusual as it allows members of the SHGs to apply for loans for a wide range of reasons, such as food and medical treatment, not just for business. This enables women who are not land owners for example, and are reliant on seasonal labour, to avoid either having to buy items on credit (and risk falling further into debt), or doing without certain items entirely. 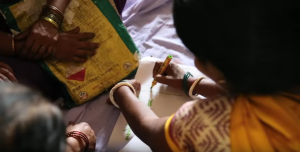 The Rojiroti self-help groups are empowering women from scheduled castes (SCs) and other socially and educationally disadvantaged caste women (BCs) and their families in the areas, to solve their own problems. Many women are also applying for loans to improve their livelihoods; buying land and livestock, developing their houses and creating small-scale enterprises. “With the help of Rojiroti, not only I, but many others are growing, more development can take place”. To find out more from our grant holders, watch this short video or visit Rojiroti’s website.